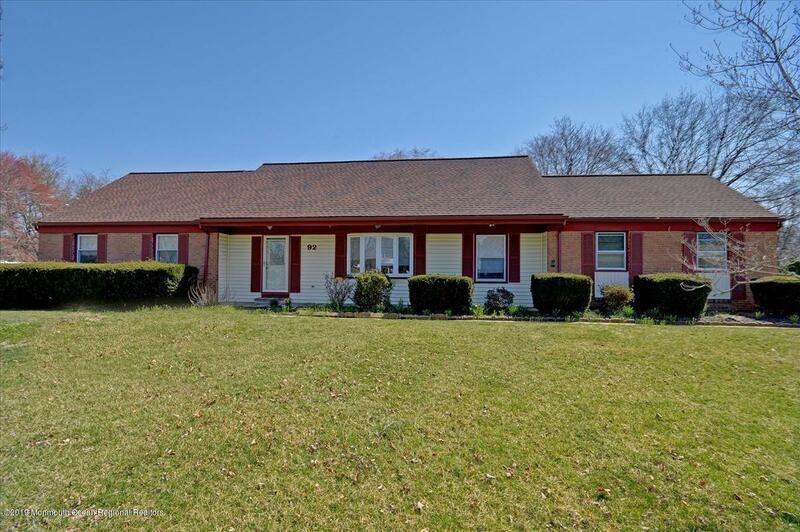 Spacious 4 BR 3 full bath custom expanded ranch/colonial. Features include dramatic open floor plan. Center island kitchen w/stainless appliances open to family room w/gas fireplace w/brick surround. Expanded kitchen & family room. Formal Living Room & step down formal Dining room w/hardwood flooring. Two Master Bedrooms one on 1st level & 1 on 2nd level w/sitting room & newly renovated master bath. All bedrooms w/hardwood flooring. Enjoy fenced paradise backyard w/in ground pool & newer hot tub. All big ticket items have been done including newer roof, gutters, HVAC, water heater , electrical panel & pool liner. New insulation in roof & attic. Great location close to Freehold mall, shopping & NYC transportation.